According to TechTarget "Hyper-convergence (hyperconvergence) is a type of infrastructure system with a software-centric architecture that tightly integrates compute, storage, networking and virtualisation resources and other technologies from scratch in a commodity hardware box supported by a single vendor." Hardware and software components are provided in a single, integrated unit with a single contact and service provider. From that integrated unit, users can carve out what they need. For exmaple, they can create virtual machines of varying size, depending on the expected workload. For example, a lot of CPUs for number cruching applications, or perhaps more memory for in-memory database. All these example share one charateristic: you don't need to change the hardware or the software in your hyperconverge system to deliver this flexibility. Why do we need hyper-converged solutions? One of the reasons for the rising popularity of hyperconvergence is that traditional IT equipment providers are still selling bags of nails and screws, alongside complex instruction manuals. This leaves customers having to assemble their own solutions. And it's not even as good as an Ikea kit (assuming you like Ikea), as the components come from many hardware and software companies. With so many different parts, often associated with different support contracts and providers, understanding the real risk is a tough task. When putting this in a more global picture, grasping the total cost of ownership (TCO), overall service level agreement (SLA) and liability results in a daunting challenge. Hyperconvergence proposes to address these pain points by reducing the number of moving parts, combining hardware and software in a single integrated unit . This means that customers have a single contact point when things go wrong, so that the cavalry can be brought in quickly, instead of bouncing support tickets from one provider to another. Hyperconverged solutions will let you build solutions much faster than before, taking away the complexity of having to build them yourself from separate parts, with the challenge of getting it right, tested, certified, maintained and upgraded. That's why hyperconvergence provides a real unique selling proposition. 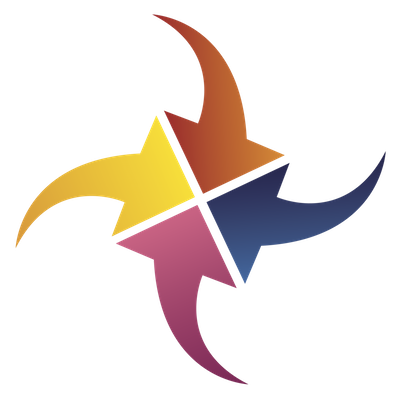 Finally, once in place, you then have the freedom to create virtual machines of all sizes simply and flexibly. Some systems even lets users change their minds, allowing them to dynamically reduce or increase the amount of CPU, memory or disk associated to a virtual machine, depending on application workload. What hyper-converged solutions are available? There are already many hyper-converged solutions on the market, including those from big players like Dell, VmWare and Hewlett Packard, and the choice will continue to grow. Let me illustrate hyper-convergence with one of our own products: NuvlaBox. 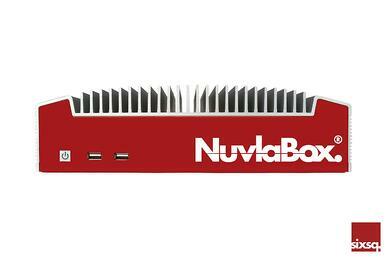 The NuvlaBox is a cloud-in-a-box, or more recently labeled as an "instant private cloud". The NuvlaBox is an appliance, currently available in two forms. In includes all the software to run it as a local private cloud, which in this case can even be remote controlled via SlipStream, our multi-cloud management solution. This means that you can size virtual machines, or containers, of the size you need, and have an application deployed automatically. Each app has the right amount of processing, memory and disk, without having to change any hardware or software. It's all built in and controlled via a web console, an API or a command-line client. Want more information about SixSq's hyperconverged solution? Take a look at the product description. If you have questions or comments about cloud computing, don't hesitate to get in touch.